Established in 1985, T.E. Spall & Son is a customer-focused HVAC company in the Scranton, Pennsylvania area. 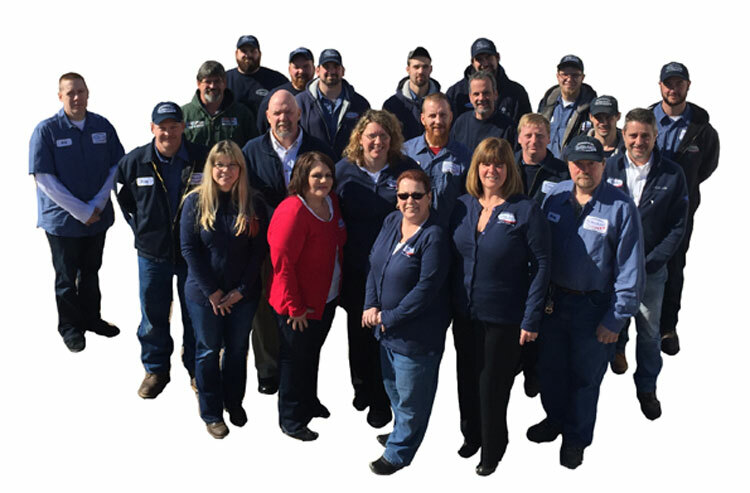 Our highly trained professionals have one goal: to make our company the best heating and cooling company in Northeastern Pennsylvania by providing unparalleled service, top-quality products, and expert knowledge in the industry. At T.E. Spall & Son, we specialize in designing, engineering, and installing heating and cooling systems for residential and commercial buildings. We take pride in our craftsmen and the excellent work they do ranging from minor air conditioner repair to complete ductwork modifications and everything in between. We pair the most reliable heating and cooling products with exceptional personnel in order to meet your high standards. If at any time during the first year of installation, you are not 100% satisfied with the performance of the equipment, our service, or our staff, we will—within 30 days of your request—remove the system and cheerfully refund the entire amount of the contract. Technical excellence – Our technicians attend regular continuing education sessions to stay up-to-date with changing industry trends, techniques, and information. Positive work environment – Not only are our craftsmen highly skilled and technically qualified, but they’re a pleasure to have in your home, too! They will always cover the floors, clean up after themselves, and be polite. Flexible payment options – At T.E. Spall & Son, we offer flexible payment options for your convenience. Give us a call to find out more! Cutting edge technology – Our HVAC company is an active member of multiple trade associations which gives us access to the best products, techniques, technology, practices, and training in the industry. Commitment to safety – We pursue ongoing safety training, employee screening, and drug testing to ensure that the people who enter your home will always be someone you can trust. Compliance with all codes, licenses, and laws – T.E. Spall & Son is a fully licensed and insured HVAC company that complies with all applicable codes and permit requirements for our services. Practical advice & suggestions – The HVAC specialist who works on your equipment won’t just do the bare minimum. He or she will inspect your system and ensure no other repairs are needed and advise you accordingly. T.E. Spall & Son has been serving the Northeastern Pennsylvania area for over two decades. No matter what your heating and cooling needs are, from replacements and repairs to installations and inspections, our experienced professionals can help! Call us today to schedule an appointment!